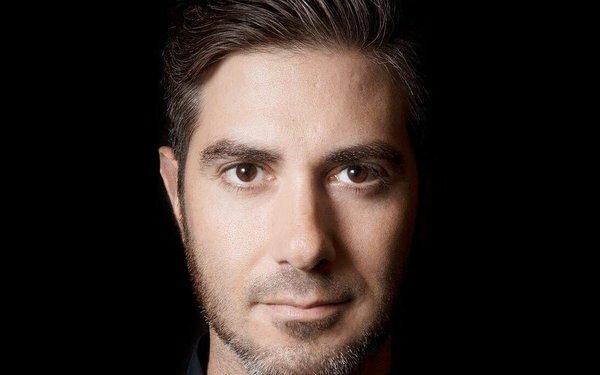 Before he joined Adobe in May 2016, Jordan Kretchmer was the founder and CEO of Livefyre, a system that used contextual cues to better manage online conversations and commentary for publishers. At the same time he was developing that product, marketers began viewing themselves as publishers, providing a new opportunity for Livefyre to provide brands with a real-time management system to keep up with the never-ending need for interesting, engaging content. Since Adobe acquired Livefyre in May 2016, Kretchmer has been working to integrate its system within the larger company’s suite of marketing products to help marketers take advantage of today’s digital pace. He spoke with Marketing Daily about the future of machine learning and artificial intelligence in marketing. How do machine-learning and artificial intelligence facilitate conversations online? Are we talking about chat? Commenting? Social? Where does it live? In general, AI is used to facilitate better conversations in social channels. It’s usually around blocking or removing negative or inappropriate content. Our brand customers, when they’re curating content using our system, can apply different kinds of rules and filters. If the content has grammar below a certain reading level, don’t pull it in. Or if an image on Instagram has 60% skin, don’t pull it in. We have all of these automated protocols so that publishers don’t use something that’s inappropriate. There’s also tons of AI at Adobe using image classification or recognition. You can pull an image from Instagram, and within a quarter of a second it will identify the average age of the person in the content, whether it’s male or female, if the person is surfing or things like that. Where is it that marketers and brands are missing the boat on AI and this technology? The biggest opportunity — I’m not going to say anyone’s missing the boat yet — is utilizing AI to do automated content creation. So, if you know that you have to create 150 banner ads and you have to create 20 e-mail campaigns and Facebook and Instagram posts, why do I have to create every one of those manually? The opportunity is to create systems that automatically generate headlines and automatically morph them into the different [formats] for different media. And on the analytics side, as we’re collecting information based on the performance of those ads, to automatically change the headlines to match those that are performing best. Content automation and automatic optimization is a huge opportunity. The AI exists, it’s just a matter of using the tools correctly. So what’s the biggest challenge for companies trying to put together an AI solution? It’s that there’s so many different versions of AI solutions out there, and there’s no one company that can solve AI. It’s too big of a problem. Adobe has our own world of AI, and that’s a collection of machine learning and AI relevant to the creation of content and the delivery of content. There’s different applications for AI in so many different ways that most of our customers are going to have to work with a number of different companies to get all of their AI needs specific to their use cases. Adobe will never be able to meet all the AI needs of every customer because we don’t do certain things. Companies are going to have to work together to use different AI for their specific uses. Is that even possible? Can that even be coordinated within companies? It’s a huge job, and it’s a part of the transformation from being a product-oriented business to an experience business. Experience businesses require collaboration between the legal department, the customer-support team, the marketing team, the finance team, and the product organization. It can’t just be in silos anymore. The experience I have as a consumer is the sum total of all of the parts of how a company operates when I interact with them. Every one of these [departments] need to start talking to each other about what their role is in transforming to an experience business. Is addressing the holistic customer experience a marketing problem? Is it a training problem? Or is it an internal structure problem? It starts as an internal structure problem, with the fact that the people in the marketing department have almost no interaction with the people developing the product being sold to customers. Companies have to admit it’s a problem. They’ll have to plan a transformation in terms of how that works. It has to come from an internal decision to become an experience business that puts the customer first. Some of that may have to do with getting rid of old technology that doesn’t operate in real-time. A lot of systems that older companies have been running on aren’t capable of that. New systems have to be put in place to facilitate the micro-second interactions that deliver that. How does the work you’re doing at Adobe address those issues? What we’ve been working on for the last year is to make the Creative Cloud, and the Marketing Cloud and the Experience Cloud [work together]. Right now, they are pretty separate entities. What’s missing is a layer of workflow in between those things that is an easy, instant-on solution that makes it just as easy to produce content marketing and deliver content to your audience as it is taking a picture of your kid eating dinner and posting it to Facebook and Twitter and sending it to grandma and posting it on your family blog. You just did [the same] omnichannel marketing in two minutes that takes a marketer at their day job six months to do. To their audience, that just doesn’t work any more. The product we’re working on is to give marketers a context to operate in. To take what used to take marketers six weeks to deliver down to four days.